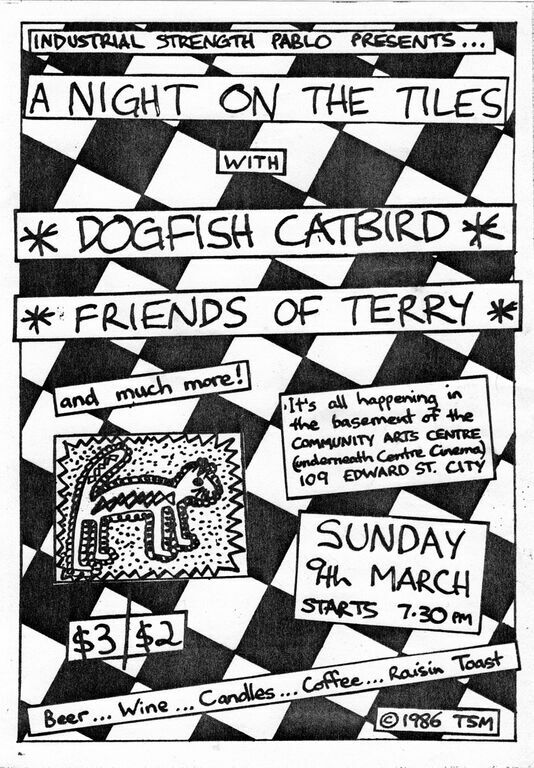 Dog Fish Cat Bird, Friends of Terry, Small World Experience, This Five Minutes. A Night On The Tiles, 1986, Brisbane Community Arts Centre. Basement, Brisbane Community Arts Centre.